While experimenting with two sided settings in scrlttr2 while using quoting in combination with tcolorbox, I came across an oddity. The following example shows interline spacing in text outside the quoting environment boxes. This only shows up in two sided mode, and only with beforeafter skip=\baselineskip in the tcolorboxenvironment invocation that redefines quoting. I'm puzzled what's causing this, since it's not obviously connected to anything about the quoting environment, or two sidedness. ADDENDUM: A hopefully simplified version which looks more like what I'm actually seeing. When using twoside the class activates (like other classes often do) \flushbottom. 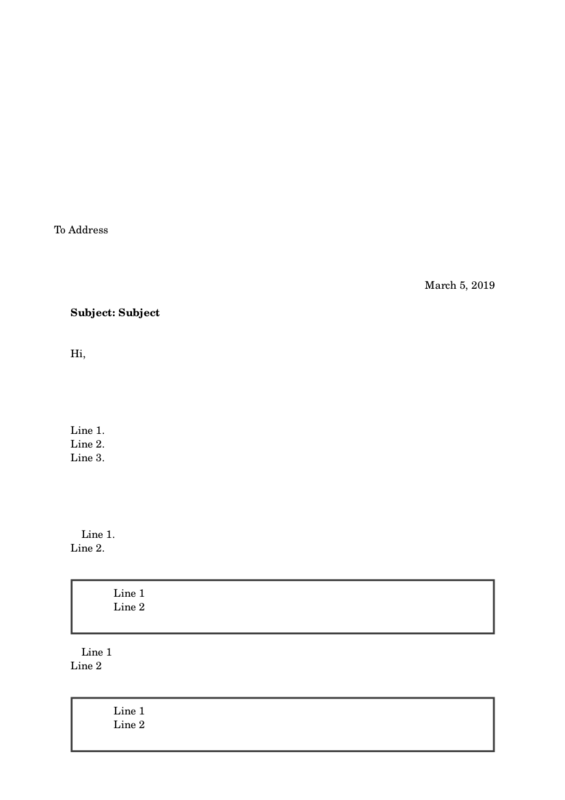 That means that LaTeX will try to fill the page, and for this stretches the parskip. 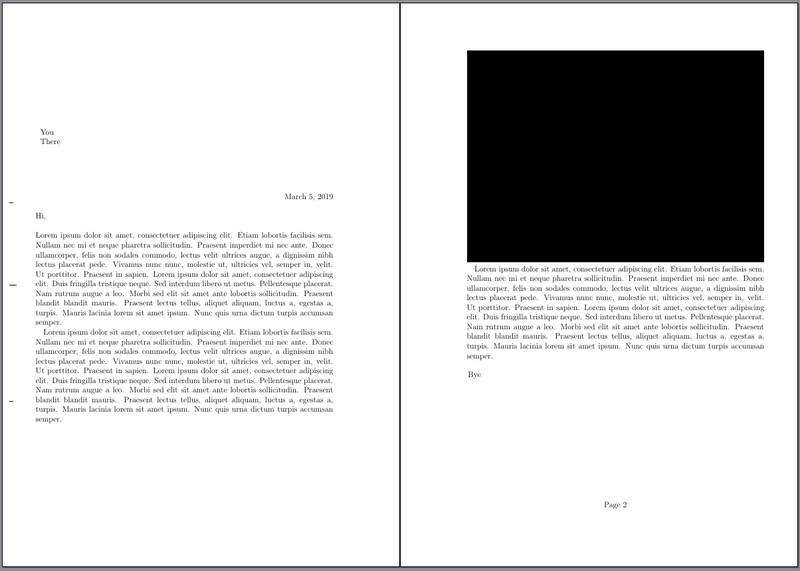 The effect disappears if you remove the beforeafter skip=\baselineskip, as then the letter fits on one page. In oneside mode you get the same if add \flushbottom. Note, there are additional changes in upcoming KOMA-Script 3.27 (linked page in German). Not the answer you're looking for? Browse other questions tagged koma-script tcolorbox double-sided quoting scrlttr2 or ask your own question.